Good for you. Does the old girl need any work. 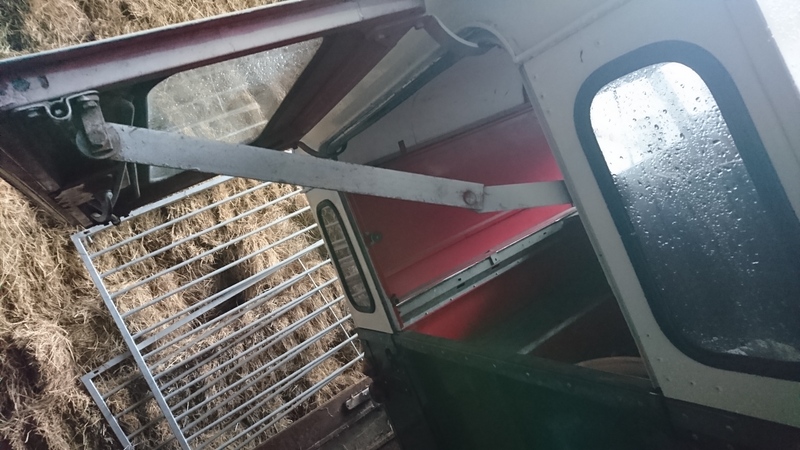 Ordered new locks and ignition already, will need a once over on engine as has a little miss fire, brakes need bleeding and clutch pedal comes up and clutch follows a few seconds later. But its a runner... Nothing major body work wise though I dont think. But hey, always time for a surprise or two. 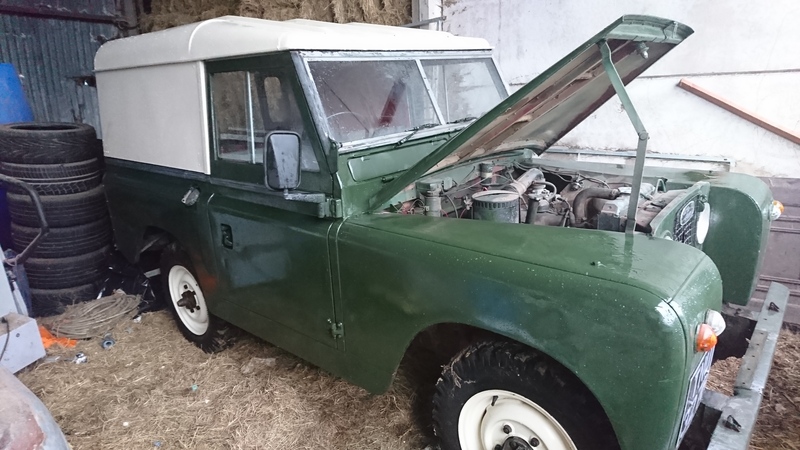 Very nice, my first Land Rover was a 11A got it before I was 17 and ran it for 4 years, they are meant to leak oil, that is how you know there is some in there and it prevents corrosion. The little bits you are paying for now you have already saved by being tax exempt, you can be MOT exempt also. I dont really agree with MOT exemption and will continue to get mine done. Am definitely getting a mate to give it a once over at his garage, id rather have the piece of mind..
Land Rovers don't leak oil - they are simply marking their territory. Wish i could say the same of mine, she needs a nappy on.
? Im. Sure once i get mine moving it will wet itself. What is towing the one that is towing? 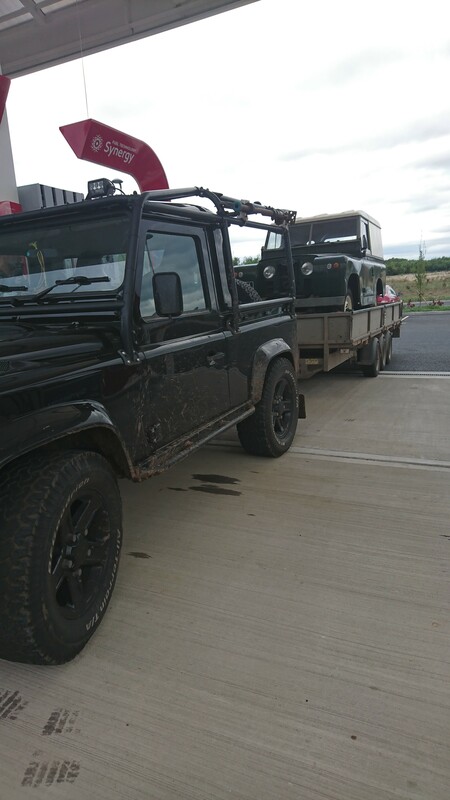 Got to tow a landy with a landy... Its the law haha..
And its one of the last off the production line. So old meets very new.. I wondered what was towing the landys? ? Hahahaha fair comment... Chocolate raisins and monster energy drink... ? That's what Toyota's are for... ? Nah! If it's been standing for a while you probably won't know for sure until the hypoid 80/90 get hot!?...? 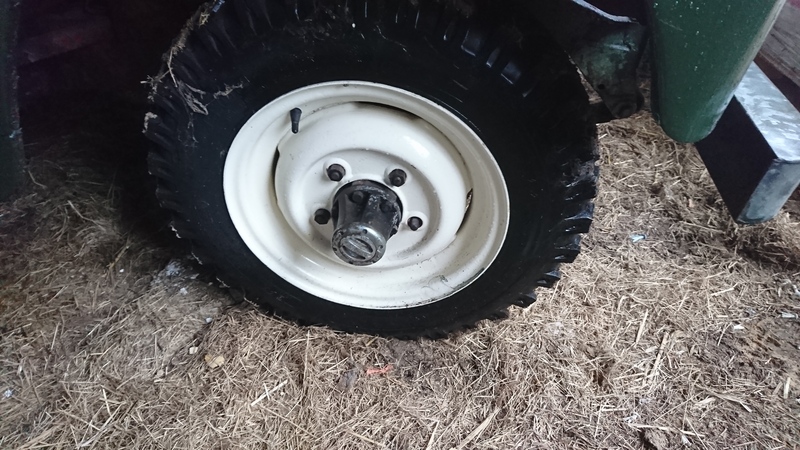 Wheels have been blasted and re painted. same block as the 2.25l desiel..........nice little steady petrol motor...Zenith carb ?..... the original galvinising is proberly still there under the paint on the rad grill.......what was the original colour .."sand"..? And yep they are, go a bit of a steal to be honest, there is obviously things that need doing but i knew unless i put silly money down id not get anything to fancy, and wouldn't be fun if od not got some work to do. Had a similar for very many happy years. Sadly no longer mine but still going. Superb pieces of engineering genius. 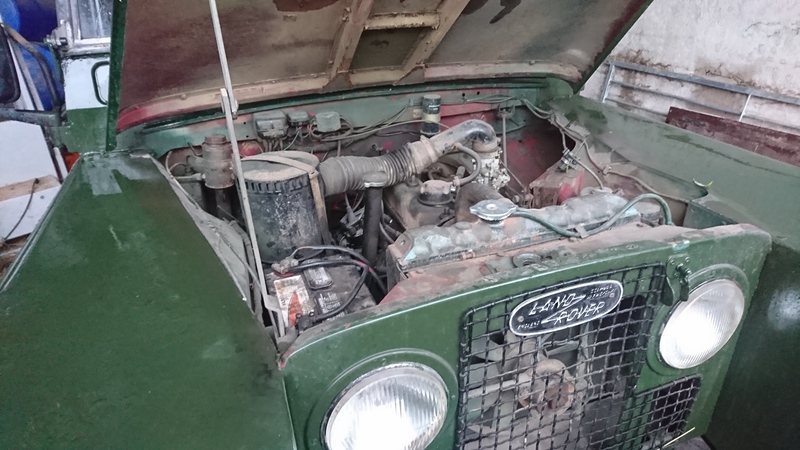 I had a 2A, 2 1/4 Diesel for about 12 years, that was over 30 years ago, free wheeling hubs, fairey overdrive, Michelin Range Rover road tyres etc, went all over England, Ireland, Scotland and Wales in it, when it rained it leaked like a sieve, only let me down on a trip once, broke a pushrod in rural Devon!...........Rebuilt the engine due to crank case compression blowing oil through the breather (used to carry a gallon of engine oil in the back Until I sorted it! Lol!) rebuilt the transfer box.....twice! !.........oil leaked from everywhere....but in the end I sold it for more than I paid for it.......great memories, but mixed emotions! Lol!